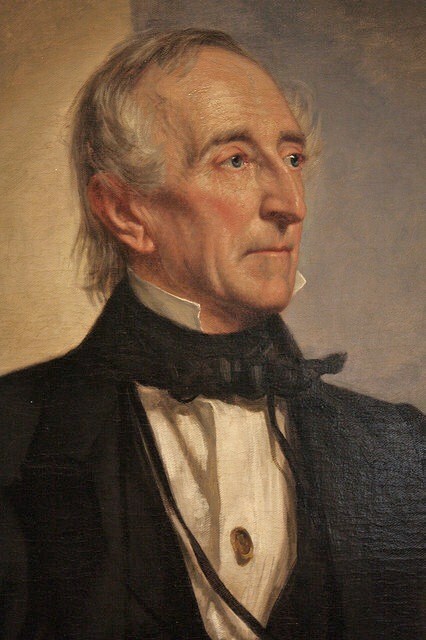 William Henry Harrison died only a month after his inauguration in 1841, and John Tyler, who succeeded him, held a Fourth of July dinner that year that included turtle soup. A giant 300 pound turtle from Key West had been given to the president as a gift and ended up on the dinner table. After dinner, Tyler and his guests walked out onto Lafayette Square to enjoy a fireworks display. 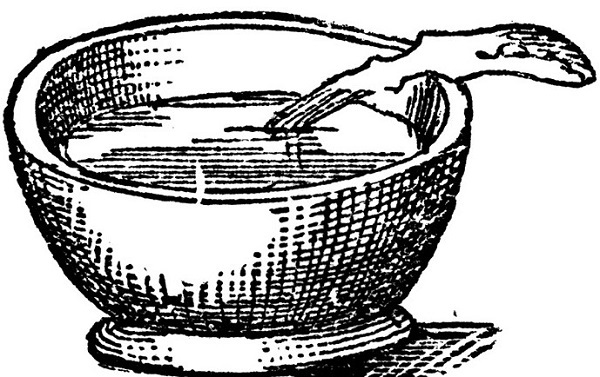 Turtle Soup was popular at Fourth of July celebrations prior to the Civil War. Turtle soup was a favorite of Philadelphians, Charlestonians, New Yorkers, and Washingtonians. In New York, in 1828, for example, "Flushing Bay Clam and Turtle soup . . . [was] served up in the usual style, at the Flushing Hotel," while "green turtle soup" was available at the Washington Hall dinner (New-York Enquirer, 4 July 1828, 2-3). 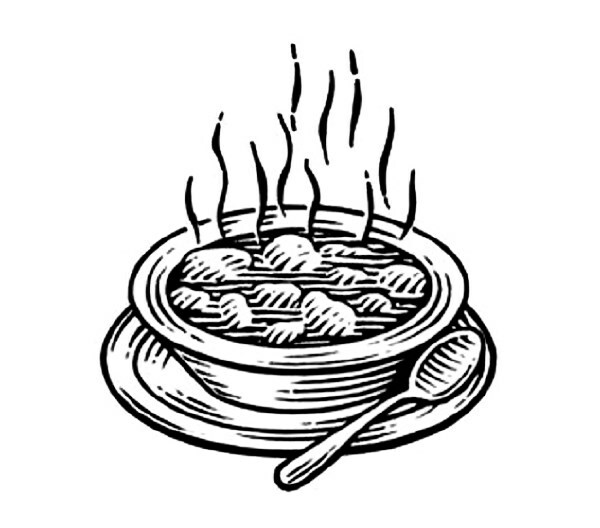 In Washington turtle soup was served at two different places: at Lepreux & Kervand's "near the 7 buildings," from 11 a.m. until 3 p.m., and at Burckhart & Koemig, at the Columbia Garden, near the Centre Market at 12 noon. Both vendors provided carry out service (National Intelligencer, 3 July 1820, 3 and 4 July 1820, 3, respectively). A menu for an 1825 Fourth of July dinner in the collections of The New-York Historical Society lists 51 main dishes—spread over two courses—along with 12 desserts and an additional 15 fruits and ices. After green turtle and lobster soups, the guests moved on to fish (blackfish, sheepheads, trout); haunches of beef, lamb, and venison; a range of poultry from duck to capon to turkey, lobster patties, as well as sweetbreads, eel, and pigeon pies. 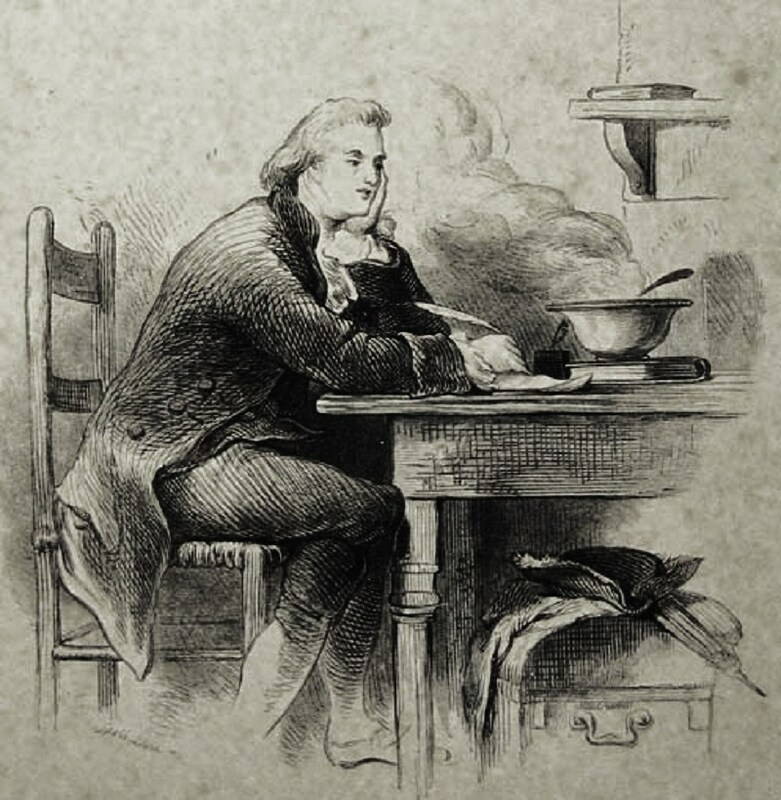 The cooks combed the market for delicacies—ragoûts and stews of "Gallipagos [sic]," green, and snapping turtles; woodcock, partridges, and wild pigeons; lamb, veal and pigs feet; galantines and smoked tongue. For dessert, they tucked into puddings, fruit tarts, cheesecakes, trifles and syllabubs, and an array of fresh fruits, ices, and ice creams. A Turtle Soup recipe from Virginian Mary Randolph's (1762-1828) book, The Virginia Housewife: or, Methodical Cook. KILL it at night in winter, and in the morning in summer. Hang it up by the hind fins, cut off the head and let it bleed well. Separate the bottom shell from the top, with great care, lest the gall bladder be broken, which must be cautiously taken out and thrown away. Put the liver in a bowl of water. Empty the guts and lay them in water; if there be eggs, put them also in water. It is proper to have a separate bowl of water for each article. Cut all the flesh from the bottom shell, and lay it in water; then break the shell in two, put it in a pot after having washed it clean; pour on as much water as will cover it entirely, add one pound of middling, or flitch of bacon, with four onions chopped, and set it on the fire to boil. Open the guts, cleanse them perfectly; take off the inside skin, and put them in the pot with the shell; let them boil steadily for three hours, and if the water boils away too much, add more. Wash the top shell nicely after taking out the flesh, cover it, and set it by. Parboil the fins, clean them nicely- taking off all the black skin, and put them in water; cut the flesh taken from the bottom and top shell, in small pieces; cut the fins in two, lay them with the flesh in a dish; sprinkle some salt over, and cover them up. When the shell, &c. is done, take out the bacon, scrape the shell clean, and strain the liquor; about one quart of which must be put back in the pot; reserve the rest for soup; pick out the guts, and cut them in small pieces; take all the nice bits that were strained out, put them with the guts into the gravy; lay in the fins cut in pieces with them, and as much of the flesh as will be sufficient to fill the upper shell; add to it (if a large turtle,) one bottle of white wine;cayenne pepper, and salt, to your taste, one gill of mushroom catsup, one gill of lemon pickle,mace,nutmegs and cloves, pounded, to season it high. Mix two large spoonsful of flour in one pound and a quarter of butter; put it in with thyme, parsley, marjoram and savory, tied in bunches; stew all these together, till the flesh and fins are tender; wash out the top shell, put a puff paste around the brim; sprinkle over the shell pepper and salt, then take the herbs out of the stew; if the gravy is not thick enough, add a little more flour, and fill the shell; should there be no eggs in the turtle, boil six new laid ones for ten minutes, put them in cold water a short time, peel them, cut them in two, and place them on the turtle; make a rich forcemeat, (see receipt for forcemeat,) fry the balls nicely, and put them also in the shell; set it in a dripping pan, with something under the sides to keep it steady; have the oven heated as for bread, and let it remain in it till nicely browned. Fry the liver and send it in hot. AT an early hour in the morning, put on eight pounds of coarse beef, some bacon,onions,sweet herbs,pepper and salt. Make a rich soup, strain it and thicken with a bit of butter, and brown flour; add to it the water left from boiling the bottom shell; season it very high with wine,catsup,spice and cayenne; put in the flesh you reserved, and if that is not enough, add the nicest parts of a well boiled calf's head; but do not use the eyes or tongue; let it boil till tender, and serve it up with fried forcemeat balls in it. If you have curry powder, (see receipt for it,) it will give a higher flavour to both soup and turtle, than spice. Should you not want soup, the remaining flesh may be fried, and served with a rich gravy." Fill a boiler or kettle, with a quantity of water sufficient to scald the callapach and Callapee, the fins, &c. and about 9 o'clock hang up your Turtle by the hind fins, cut off the head and save the blood, take a sharp pointed knife and seperate the callapach from the callapee, or the back from the belly part, down to the shoulders, so as to come to the entrails which take out, and clean them, as you would those of any other animal, and throw them into a tub of clean water, taking great care not to break the gall, but to cut it off from the liver and throw it away, then seperate each distinctly and put the guts in another vessel, open them with a small pen-knife end to end, wash them clean, and draw them through a woolen cloth, in warm water, to clear away the slime and then put them in clean cold water till they are used with the other parts of the entrails, which must be cut up small to be mixed in the baking dishes with the meat; this done, separate the back and belly pieces, entirely cutting away the fore fins by the upper joint, which scald; peal off the loose skin and cut them into small pieces, laying them by themselves, either in another vessel, or on the table, ready to be seasoned; then cut off the meat from the belly part, and clean the back from the lungs, kidneys, &c. and that meat cut into pieces as small as a walnut, laying it likewise by itself; after this you are to scald the back and belly pieces, pulling off the shell from the back, and the yellow skin from the belly, when all will be white and clean, and with the kitchen cleaver cut those up likewise into pieces about the bigness or breadth of a card; put those pieces into clean cold water, wash them and place them in a heap on the table, so that each part may lay by itself; the meat being thus prepared and laid seperate for seasoning; mix two thirds part of salt or rather more, and one third part of cayenne pepper, black pepper, and a nutmeg, and mace pounded fine, and mixt altogether; the quantity to be proportioned to the size of the Turtle, so that in each dish there may be about three spoonfuls of seasoning to evey twelve pound of meat; your meat being thus seasoned, get some sweet herbs, such as thyme, savory, &c. let them be dryed and rub'd fine, and having provived some deep dishes to bake it in, which should be of the common brown ware, put in the coarsest part of the meat, put a quarter pound of butter at the bottom of each dish, and then put some of each of the several parcels of meat, so that the dishes may be all alike and have equal portions of the different parts of the Turtle, and between each laying of meat strew a little of the mixture of sweet herbs, fill your dishes within an inch an half, or two inches of the top; boil the blood of the Turtle, and put into it, then lay on forcemeat balls made of veal, highly seasoned with the same seasoning as the Turtle; put in each dish a gill of Madeira Wine, and as much water as it will conveniently hold, then break over it five or six eggs to keep the meat from scorching at the top, and over that shake a handful of shread parsley, to make it look green, when done put your dishes into an oven made hot enough to bake bread, and in an hour and half, or two hours (according to the size of the dishes) it will be sufficiently done."